Google can only take you so far. And not everything exists on the internet. I have a hobby of collecting old magazines, hard to find, never republished, stories and articles by famous and lesser-known artists, scholars, and authors. Perhaps, it is the archaeologist in me. This particular article of interest is by Count Ilya Tolstoy (son of Leo Tolstoy and an old family friend). In it Count Tolstoy accurately predicts the hostilities and events leading up to the Japanese attack on The United States. He does this by no supernatural power, but perhaps by more of a supernatural-insight as Russia had just ended the Russo-Japanese War a generation ago, and was still in the pangs of several conflicts with the Japanese that had spanned the decade of the 30s. 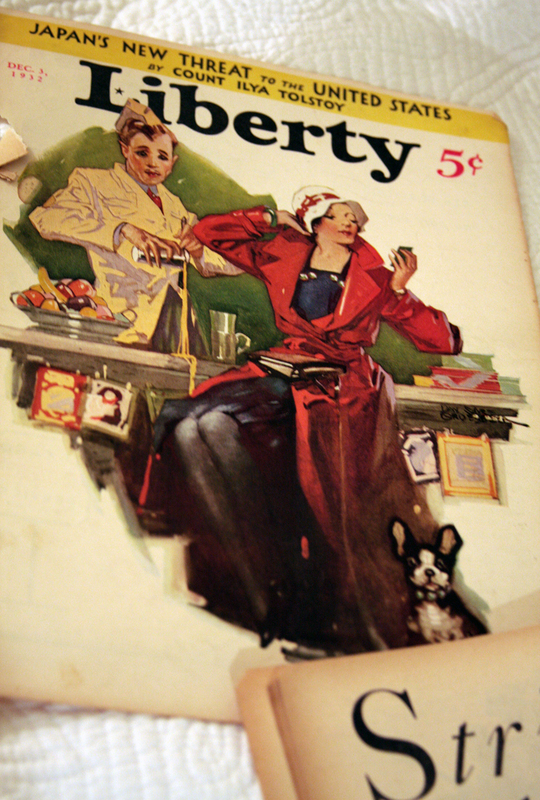 This edition of “Liberty” being from 1932. Journalism was much better back then, in my opinion. While some may unfairly characterize a feeling of xenophobia, yellow-journalism, or jingoism that reaction is rather knee-jerk and lacks true critical thought (not to mention any real research). There existed plenty of intelligent scholarship by people unafraid to give their opinions however unpopular. And, these brave individuals did so in a time where an unpopular opinion carried a real risk. Not the risk of a twitter war, or a marketed fight done so to promote a product. Holding an unpopular opinion carried condemning consequences, never mind having the wherewithal to research apocryphal scholarship and the moxie to publish it. Sacco and Vanzetti were executed for being labeled anarchists a mere five years prior to this publication. Didactic journalism has always been there to satiate the masses—the middle class. However, I still contend, even then the didactic journalism was better written. Whilst presently, real scholarship is difficult to find in popular culture—even when using Google.